A Rainbow crystal contains inclusions or internal fractures that show a rainbow when viewed from an angle. These crystals bring rainbow into ones life and are a very special gift from the spirit keeper of the crystal! They help one to deal with sorrow and negativity. They produce the full spectrum of colour, the white light of healing and perfection being dispersed into the individual rays of rainbow. Rainbow crystals are crystals of joy, optimism, and understanding. 24 sided Vogel crystal from Brasil. 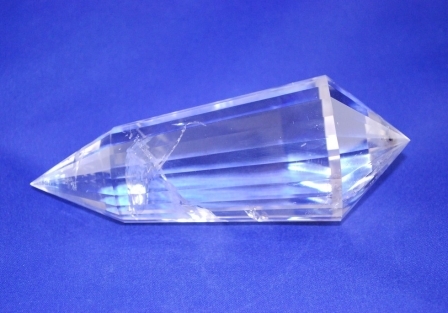 Clear Quartz is an universal crystal also known as the "master healer". If properly activated it will amplify all energies around and it can execute all thought programs. 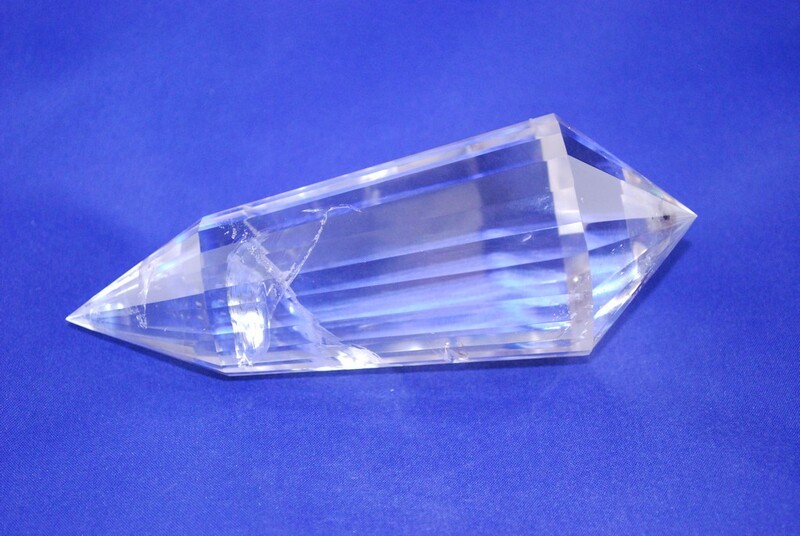 Crystal Quartz can enchance the effect of other crystals. It absorbs, stores, releases and regulates energy. 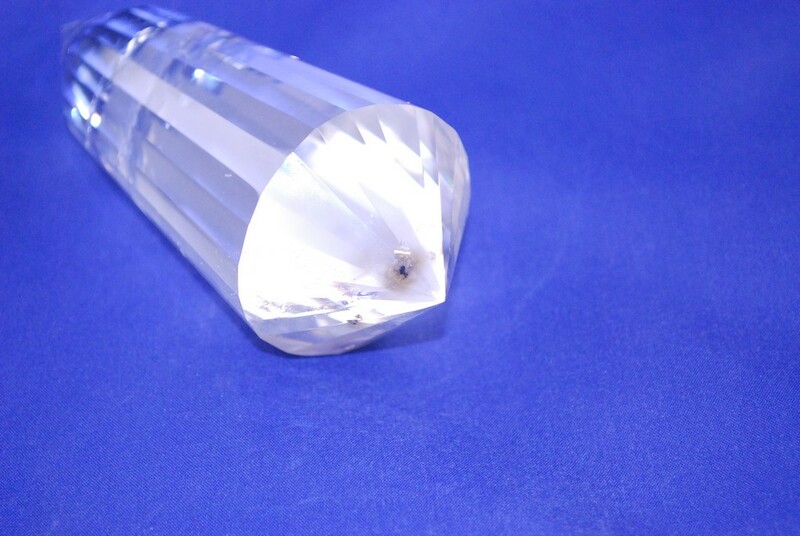 Clear Quartz can be programmed to absorb negative energy of all kinds, to neutralise background radiation, including electromagnetic smog and petrochemical emanations. Clear Quartz can be used to reprogramm the own DNA (in DNA meditations) and to cleanse and enhance the organs and subtle bodies. 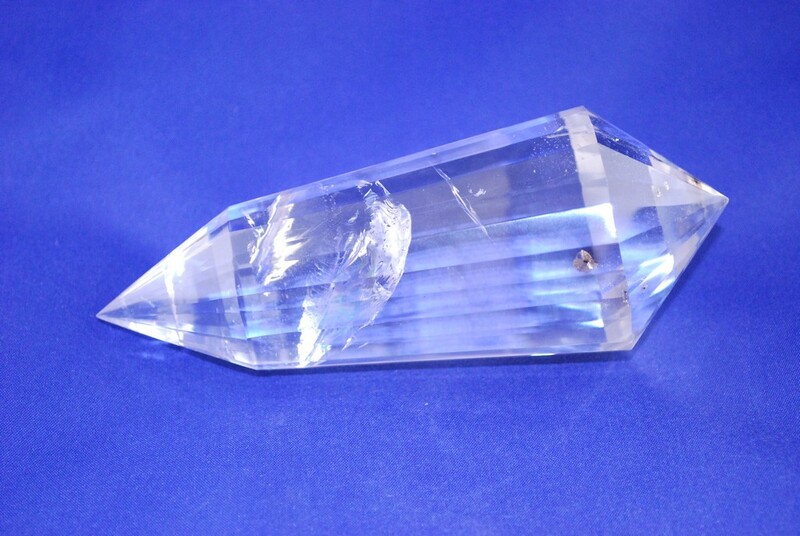 Clear Quartz enhances psychic abilities. It aids concentration and unlocks memory. Stimulates the immune system and brings the body into balance. Clear Quartz (aka Rock Crystal) harmonises all the chakras and aligns the subtle bodies with the I AM Presence. 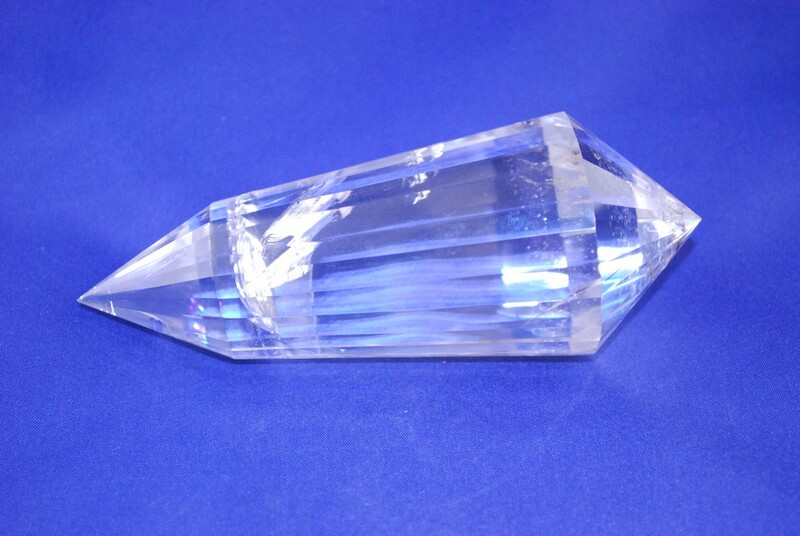 One of the best suggestions when using Crystal Quartz is to activate it to radiate Divine Love to the whole creation.